The city of Hartford established the “Six Pillars of Progress” for Hartford’s economic redevelopment in 1998. 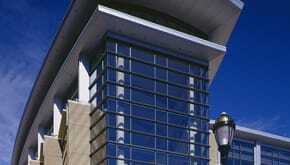 The completion of the Connecticut Center was a major milestone towards the achievement of these six pillars. The stated mission of the Connecticut Convention Center is to enhance the economic fabric and quality of life of the city of Harford. The 100-foot glass atrium, located 10-stories above a grand public plaza and a riverfront walkway provide a modern, convenient and visually appealing landmark facility supporting this vision. 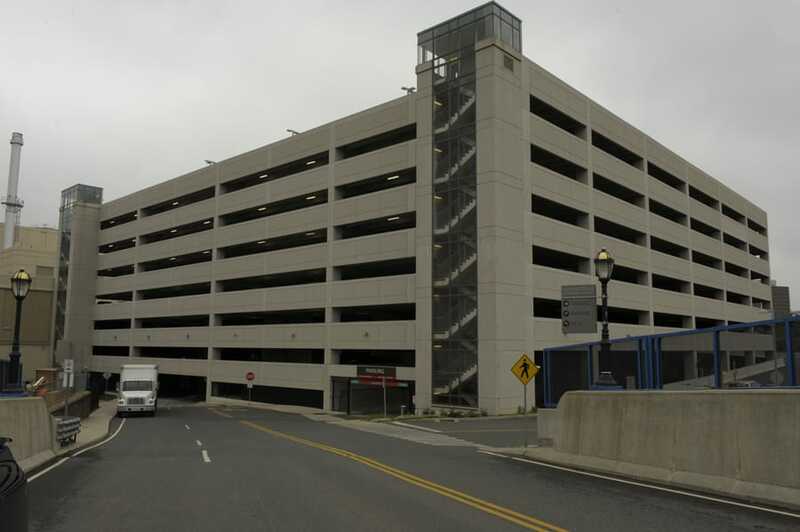 Gilbane provided construction management services for this mixed-use, urban development project which consisting of a new 540,000 square foot convention center, two levels of cast-in-place underground parking for 1,100-vehicle and an attached 3,600-vehicle Double T precast parking garage. As the largest convention facility between New York and Boston, the Connecticut Convention Center was constructed to spare no detail for accommodating various functions. 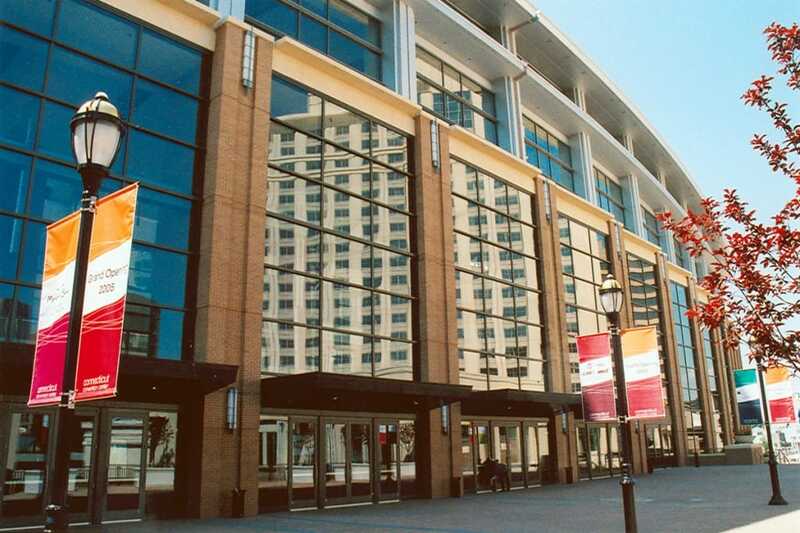 The Convention Center building is a composite concrete and steel structure with curtainwall, EIFS, and metal panel exterior and PVS roofing. The main concourse façade was constructed of brick and panelized curtainwall. With exhibit space capable of supporting 350 pounds per square foot, and a vertical clearance of 30 feet, the convention center facility can host events including auto and aviation shows. Additionally, the exhibition hall features a 90-foot column spacing to allow for large unobstructed areas to set up exhibits. Flexible spaces, abundant pre-function areas and on-site sheltered parking are just a few of the features of this colossal structure. As part of the large development site, Adriaen’s Landing, the Connecticut Convention Center project involved extensive utility relocation and building demolition of two city blocks. The soil had known contaminants, which required following a Remedial Action Plan (RAP). Materials were removed from the site and disposed of at the appropriate facilities. Due to environmental issues, a “liner” was installed 18” below the finished surface. Construction traffic, safety and environmental concerns were closely monitored. The owner (Office of Policy and Management), developer (Waterford Development), and a multitude of consultants and state agencies all played vital roles in the completion of the project.